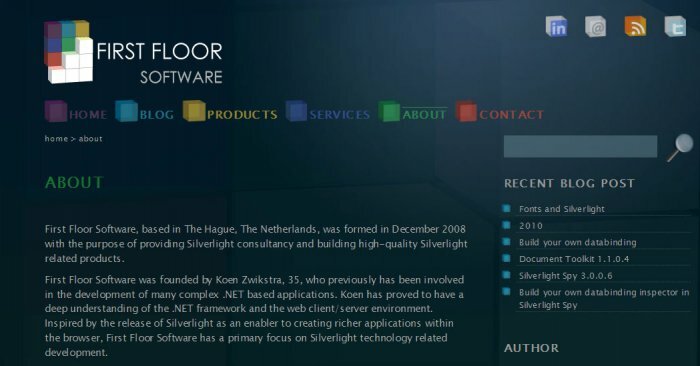 First Floor Software is a small software firm run by Microsoft .NET specialist Koen Zwikstra (Microsoft® Most Valuable Professional-MVP). 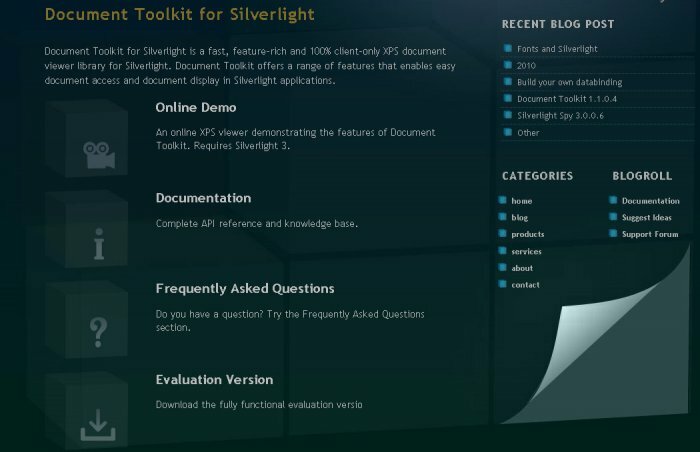 Mr. Zwikstra approached Alex with the desire to re-brand his company and to include two new software products: ‘Silverlight Spy’ and ‘Document Toolkit’. 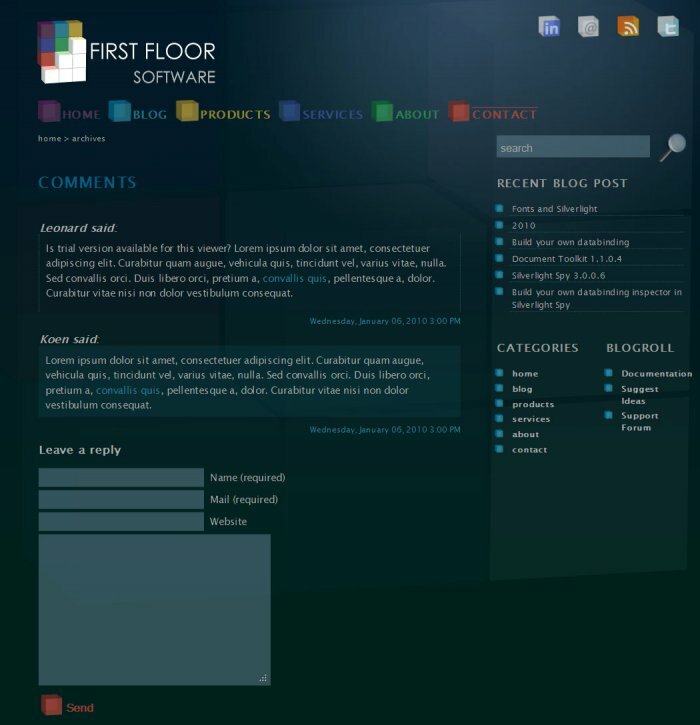 Though receiving creative freedom for developing micro-branding for the new website, there was one exception: keep ‘the cubes’ from the old logo as the base (foundation) for the new Identity. 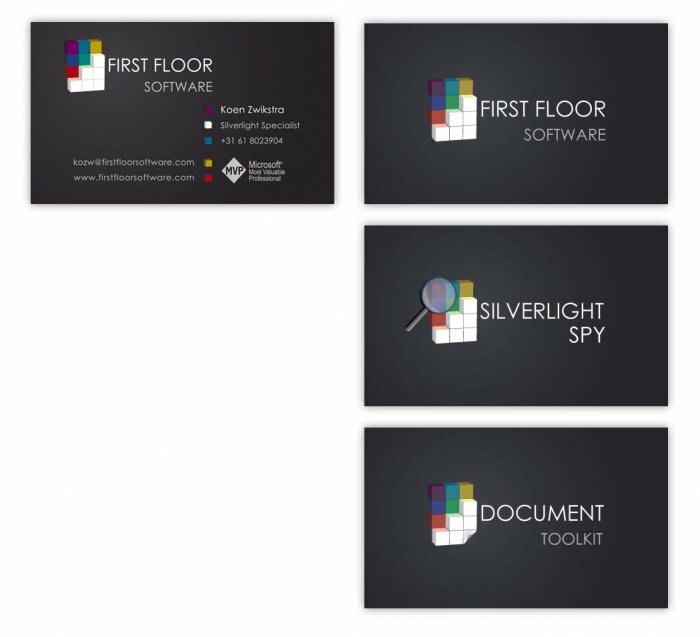 Considering the small niche market for the website product (Microsoft Silverlight), Alex reached the conclusion that the micro-branding should stand out from the crowd, not too unique – but simply outstanding. 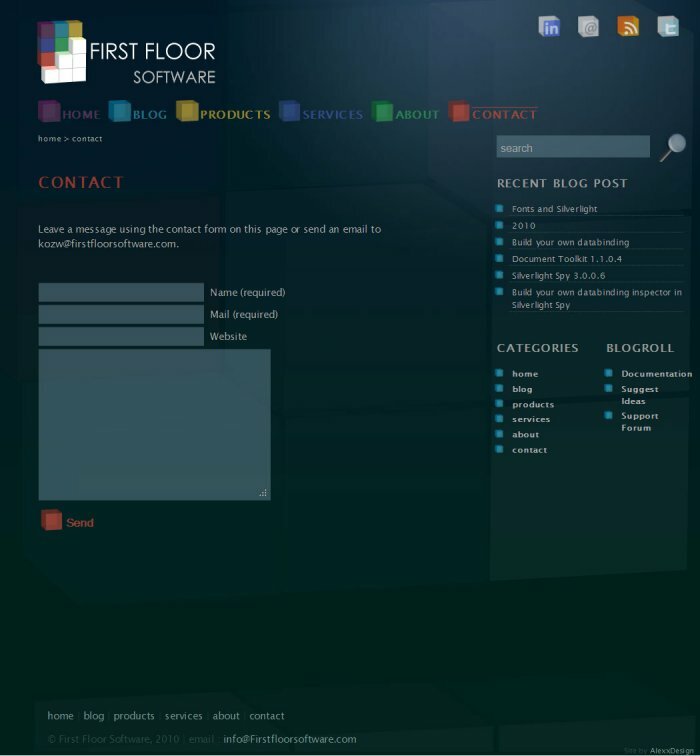 The result was a re-branded and designed website, two branded software products, company correspondence material, banners and a t-shirt. The final result speaks for itself.